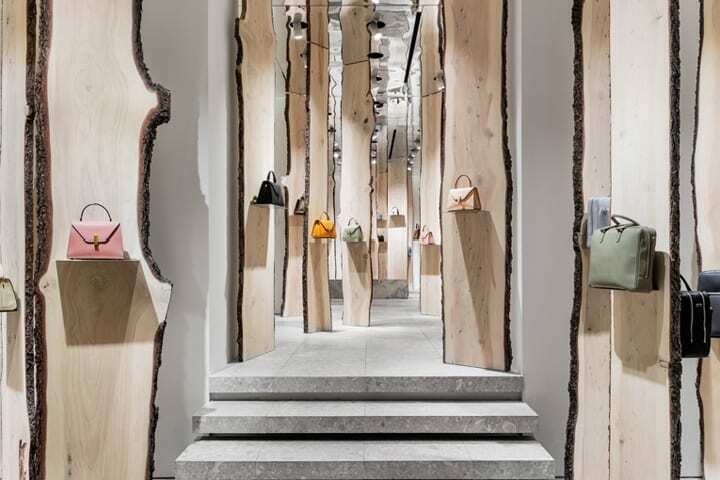 'The Forest' installation at Valextra store by Kengo Kuma, Milan - Italy. 'The Forest' launched this February and what an exciting one at that! The natural and exposed chunks of wood as the main accessory to mount designer handbags has everyone talking, including ourselves! For a luxury brand, it never hurts to bring creativity to the table, and Valextra is no exception. A connection to any art and design discipline has not only proven to be mutually beneficial but often creates added value in terms of a specific kind of exposure and brand awareness. 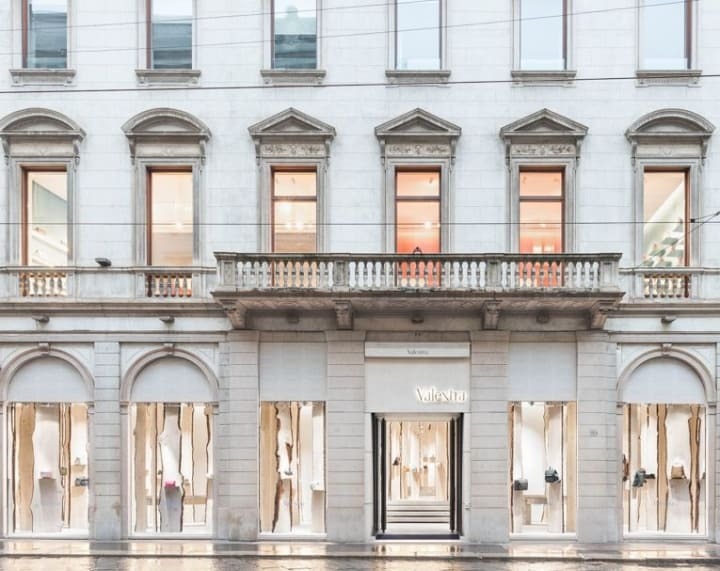 The Italian bag and leather accessories design brand already has a few collabs under its belt, and even pitches in its flagship store in Milan’s achingly chic Duomo shopping district. Following an in-store installation by New York City-based practice Snarkitecture, the premises see a new transformation by Lauded Architect Kengo Kuma from Tokyo. The installation, aptly called The Forest, comprises of an infusion of wood and will be on display for the next couple of months. 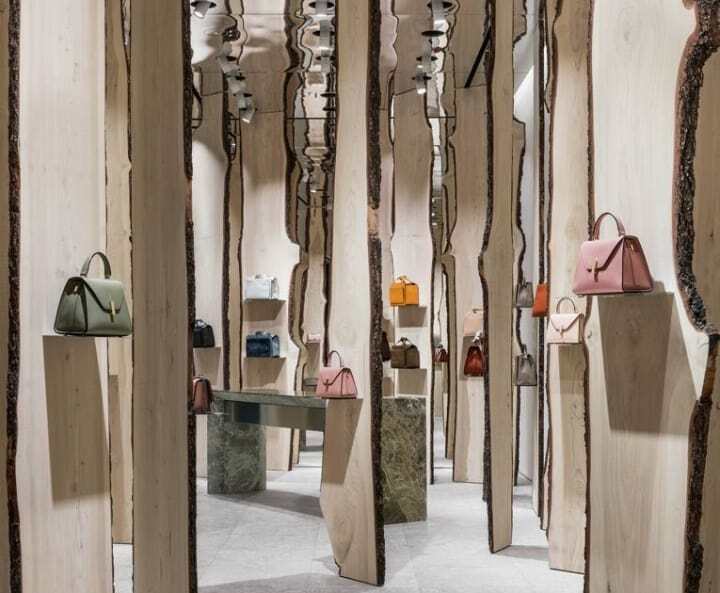 No less than 136 wooden slats have been inserted vertically, recreating an abstract environment that’s firmly rooted in nature, showcasing Valextra’s coveted bag models along the way. The use of spotlights depicts attention to certain areas of the space which creates shadow and brightness in specific zones. 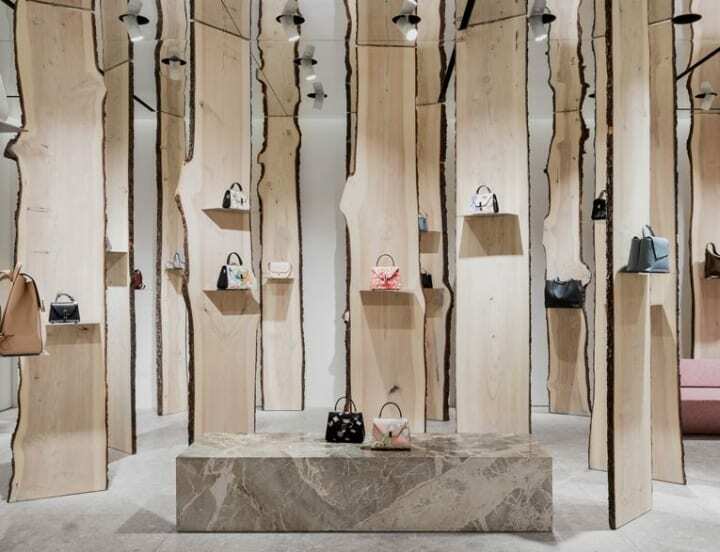 The use of marble flooring and seating strips the retail environment back, giving the handbags the limelight they deserve, whilst bringing a sense of a contemporary feel to it. The frontage and exterior of the store presents itself to have a Parisian style with its windows exposing into the shop floor inside instead of endorsing vinyls and imagery blocking the windows. The brand name is light up in LED bulbing at the entrance, whilst the walls are an off white pantone, with peach tone lighting inside - this has a very soft and inviting feel to it as possible consumers, which overall has a warm and welcoming vibe. At D4R, we love finding stores that have a creative edge to them - this being said, we were itching to talk about it!